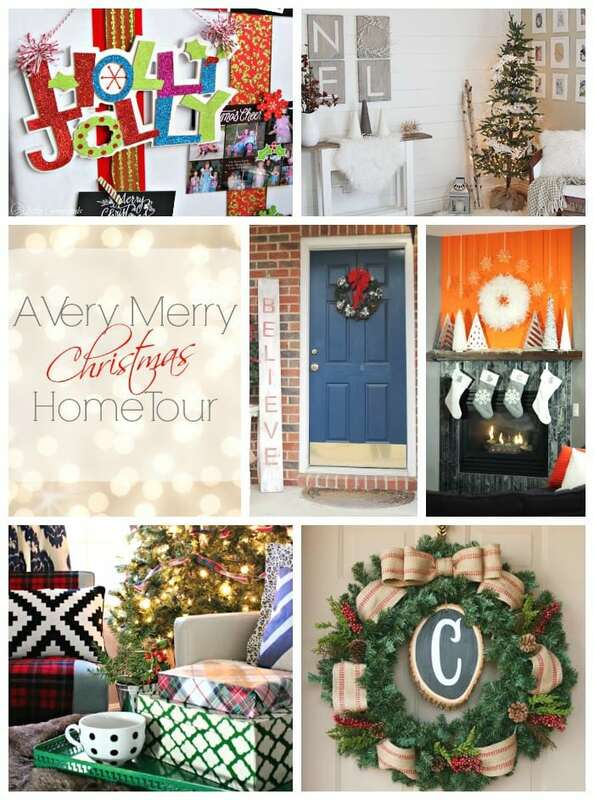 I am thrilled to be participating in A Very Merry Christmas Home Tour hosted by Carrie from Lovely, Etc with 30+ other talented ladies during this entire week! Over the years, I have collected various Christmas items and sometimes those items don’t fit with each other or my current style. 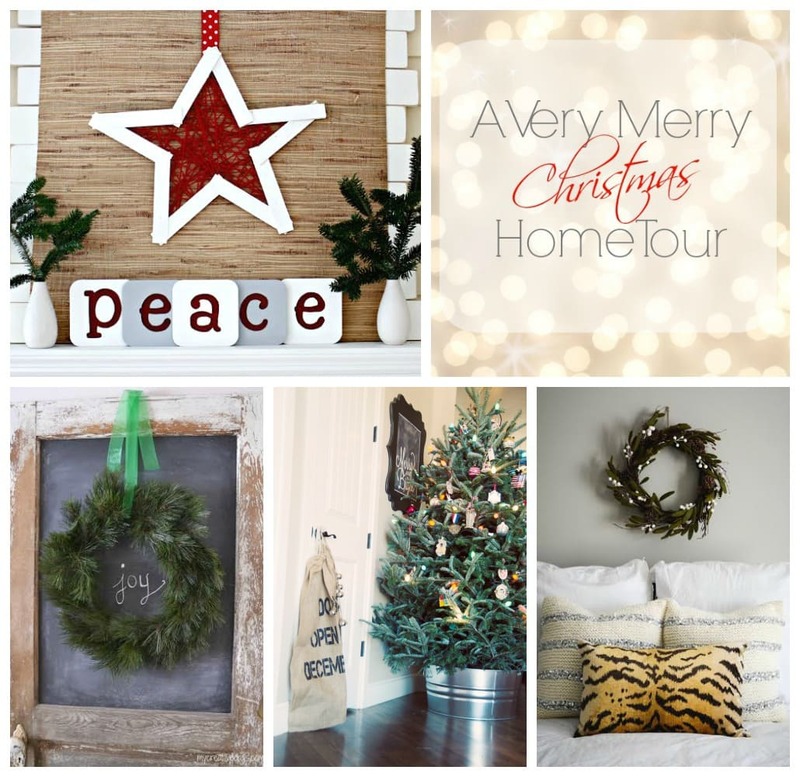 I’m here today to say, grab some spray paint, a few of your various Christmas decor items and maybe a few items when they go on sale after Christmas and you can keep your holiday decor on trend without having to buy all new every single year! Upon entering my home, the first area you step into is our entry foyer. I hung a 4′ hand painted tree. I was inspired by *Ikea’s Tree fabric but with no Ikea in our state I decided I could easily recreate it myself! I’ll be sharing the tutorial for this soon. I hung some simple white pom garland and a Merry Christmas banner sold at my Etsy shop at the top of my tree. Moving into our living room, I have the fireplace mantle full of evergreen winter loveliness. I took an old mirror and gave it a few coats of chalkboard spray paint. Each season I quickly paint the frame and it goes from peachy orange in the fall to vibrant green in the winter. 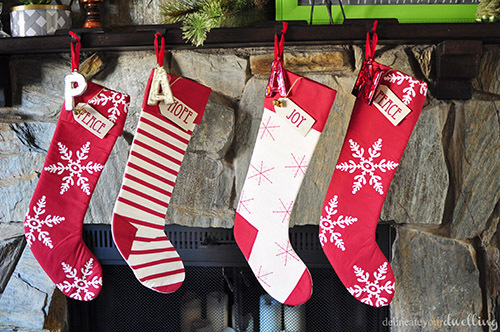 I found these four stockings on sale at Hobby Lobby a few years ago. 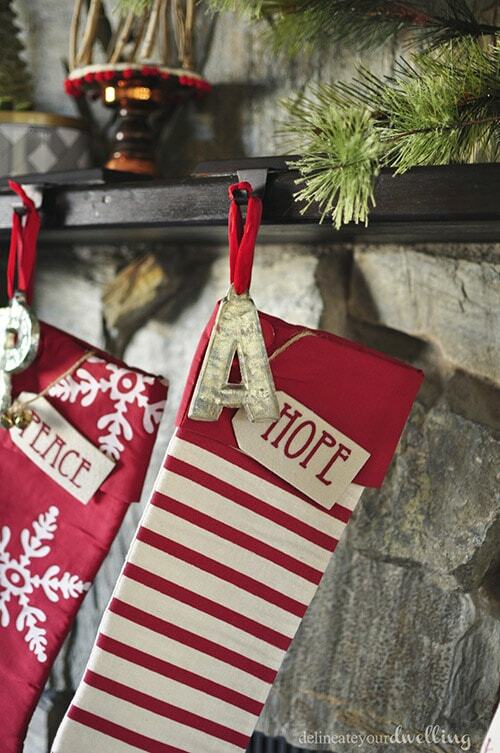 They can easily be reused year after year and with glass letters to represent each member in the family, we can switch who gets each stocking. It makes the kiddos happy to pick which one they want each year. I participated in a thrift store to Christmas decor series and made this fun Rustic Christmas twig Tree which I think fits so well in my home. The last area I decorate for Christmas is the main wall in our dining room. Typically this wall holds my clipboard gallery wall, but this year I wanted to try something different. I was so excited for Oh Joy’s winter Target line to come out. And here is my secret, if you are patient and wait less time than you think, Target puts everything on sale. That is when I jump into action and get amazing deals on items that are just a few weeks old. 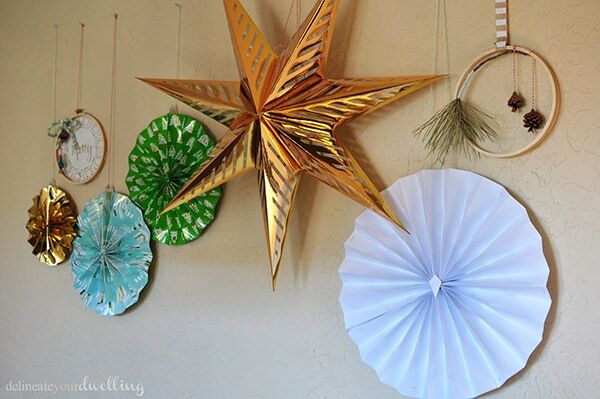 Are those three pinwheels (gold, mint green and grass green) not amazing, $6 and they weren’t even on sale! I made the huge white pinwheel in about 10 minutes out of eight regular sheets of paper. So easy! And my table is featuring another Oh Joy favorite. 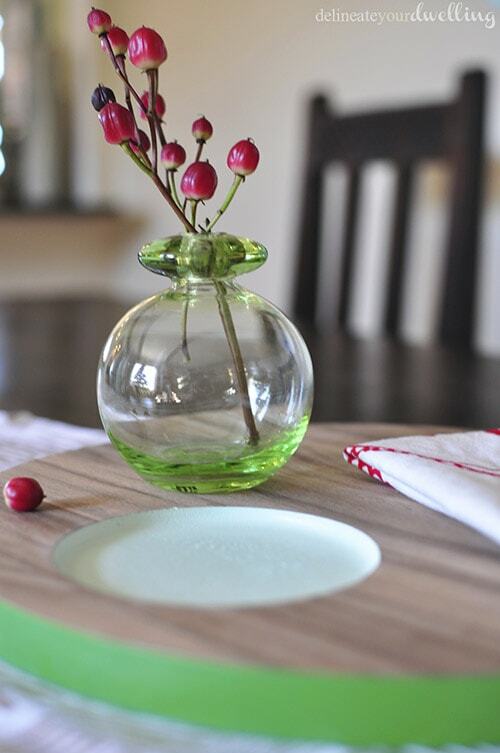 I got this lovely wooden tray during her Summer line and then they reintroduced it in the winter! For those of you who are coming over from one of the ladies below, thank you so much for stopping by! For those who are my readers, be sure to stop by and give the below ladies a warm wintery welcome! 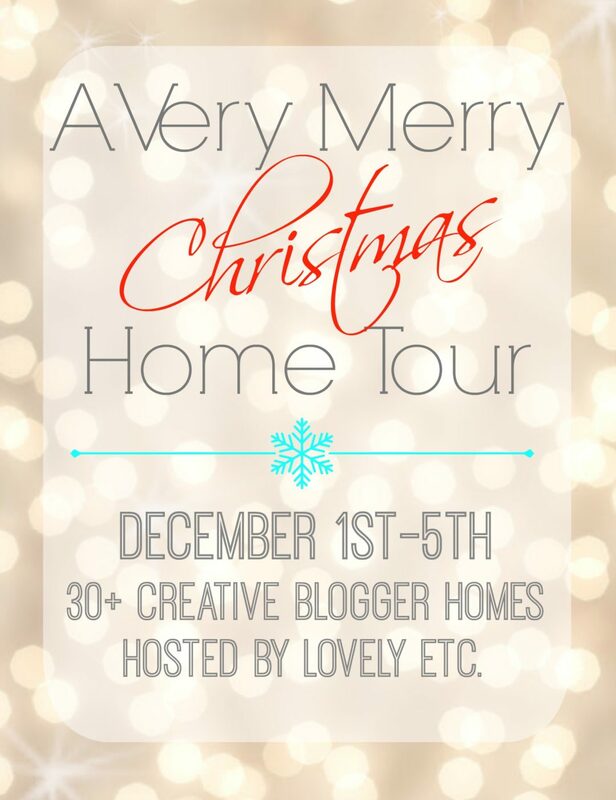 And you can check Lovely, Etc each day this week for the new home tours! A House Full of Sunshine / Lovely Etc. Tour. And I do have a couple of questions for you if it’s allright. Lots of lovely stealable (I mean borrowable) ideas here – I especially love the painted tree banner and pom pom garland. I see that in my future for sure! Oh yah, steal… I mean, borrow away!! Fantastic job on the holiday decor! The pinwheel wall is such a unique touch. Glad I’m not the only one who spray paints old , not -our-taste-anymore Christmas decor! Thanks so much, Jennifer. 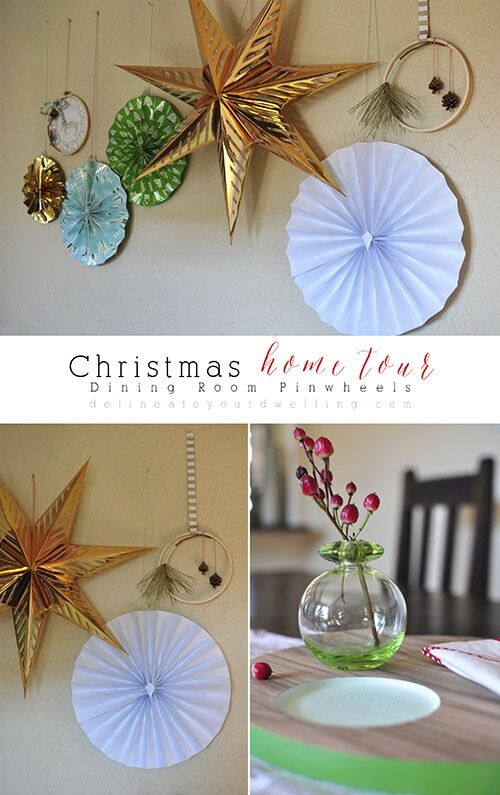 I think the pinwheels are my favorite part of the decor this year! And there isn’t much that a can of spray paint can’t change! Love everything about your holiday decor, Amy! It’s so festive and welcoming. What a great home to spend the holidays in! Thanks so much for your sweet comments, Erin! Thanks so much, Gretchen! It was a fun DIY to make. 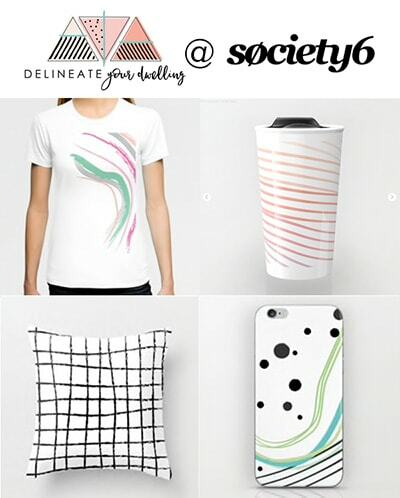 I really like how distinctive your style is! 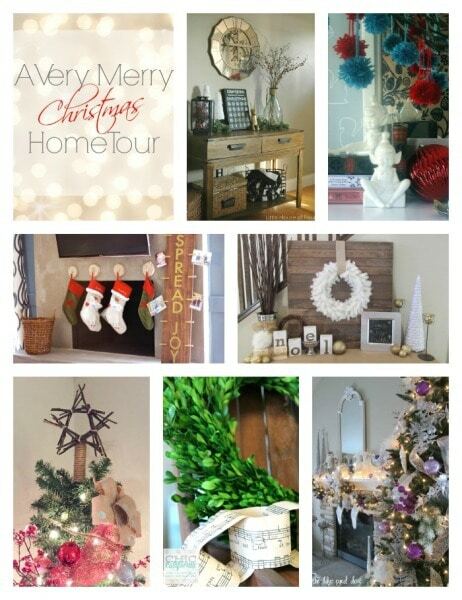 I love the fresh take on the holiday decor, especially the nutcrackers. Aw, thanks so much Candace! The nutcrackers were a fun touch for sure. Beautiful Amy! Heavily pinned and thoroughly enjoyed! I can’t wait to see the tutorial for your tree! It’s wonderful! Lovely tour and home!! 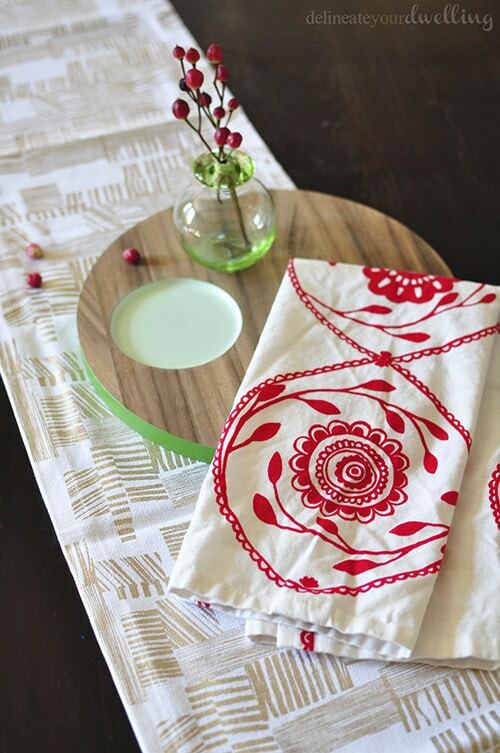 I’m loving that beautiful hand painted tree fabric – it’s so pretty!! Oh thank you so much, Amanda! Oh, thank you so much Alicia! That twig tree is quickly becoming my favorite, too! So cheerful and bright! I fell in love with your blog last year at Christmas and have been reading it ever since 🙂 Still LOVE those painted nutcrackers! Aw, Deonna! Such kind words, thank you friend. 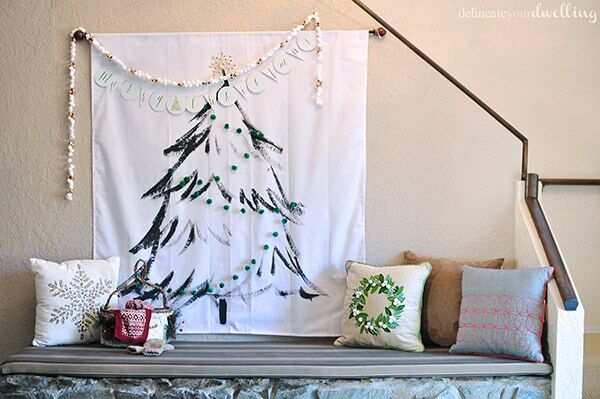 I’ve always liked that Christmas Tree Fabric from IKEA — love that you made a DIY version!! Love all of your handmade details Amy! You did a great job on that painted tree canvas/ fabric! Can’t wait to see the details. Wishing you a very merry Christmas and that an Ikea pops up near you soon! That is just NOT ok! So bright and cheerful for the holidays, I love it! You have such an eye for detail, Amy! I love all this magical touches. Decorating for the holidays is my favorite thing to do–one day we’ll upgrade to an actual tree (when space permits :). 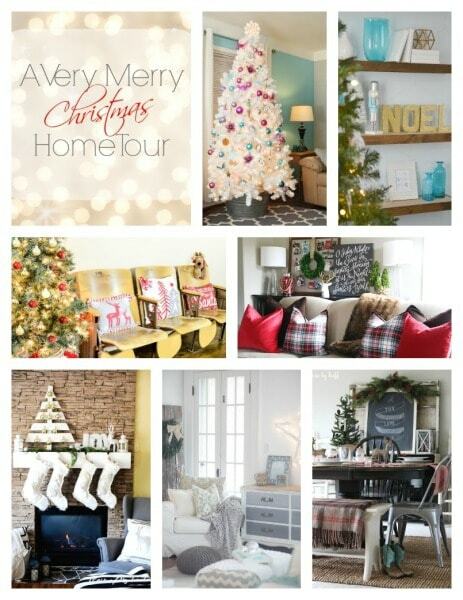 What a beautiful home tour! 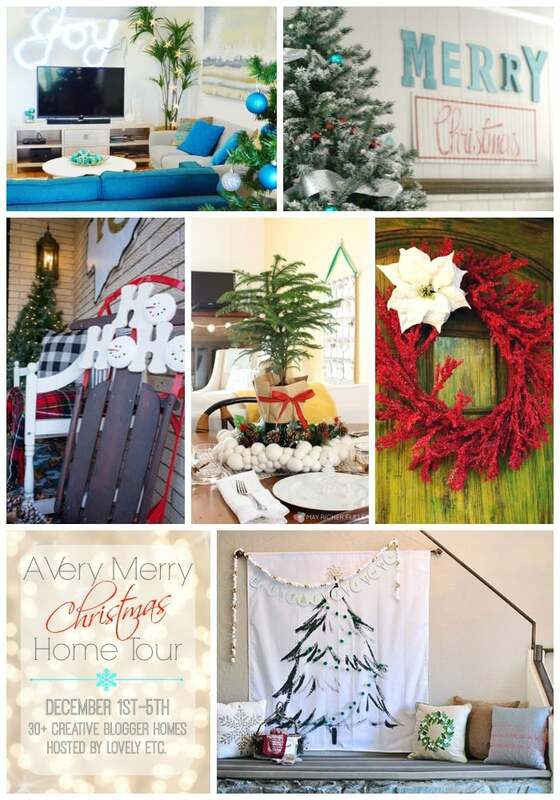 What a great Christmas home tour! Aw, thanks so much Joy! Wow, that mantel and that bench (is it a bench?). Totally gorgeous! Thanks so much, Ahsley! Yes it was a GROSS fake planter filled with mulch and silk plants when we moved in. I emptied it and made a cover so it’s a tall bench now. Gross turned functional! Just Beautiful! 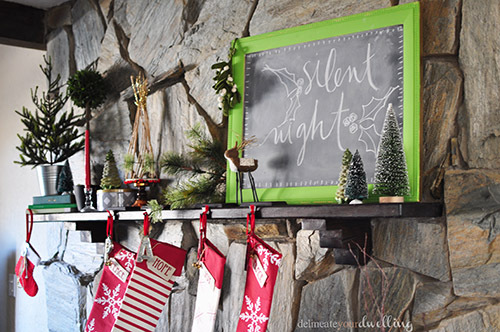 I so need to just spray paint a ton of my mismatched decorations from multiple decorating styles. Thank you for sharing your beautiful home. Thanks for stopping by, Michelle! 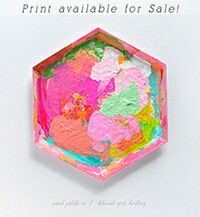 And spray paint does wonders for uniting mismatched!! 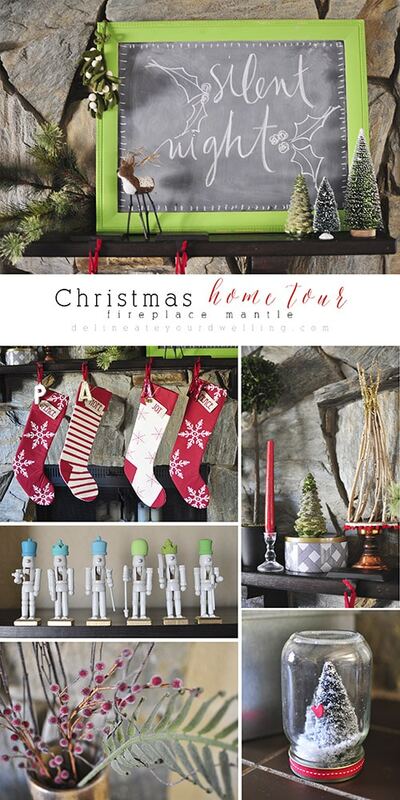 Everything is so so so cute and Christmas-y:-) Love those stockings and your winter lady♥ Wonderful tour! Lovely, Amy!! 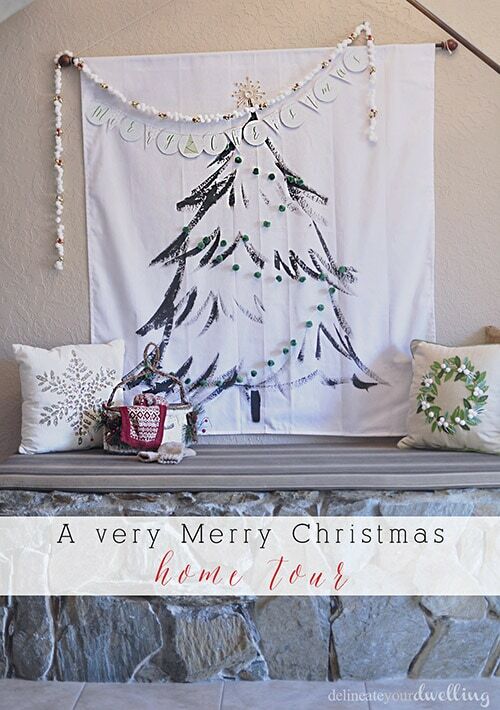 That entry vignette you created with the hand-painted tree is just gorgeous. 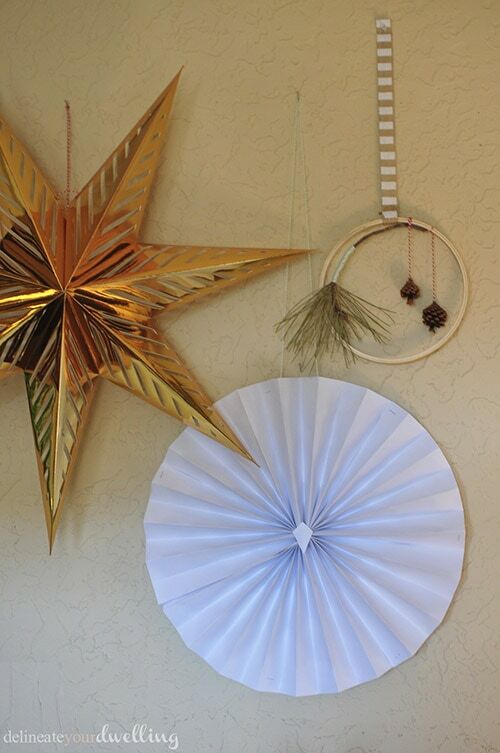 And how awesome is your pinwheel wall?! So creative! Thanks for having us in your home! You’re too kind, Karen!! I had fun creating that hand painted tree! Beautiful!! 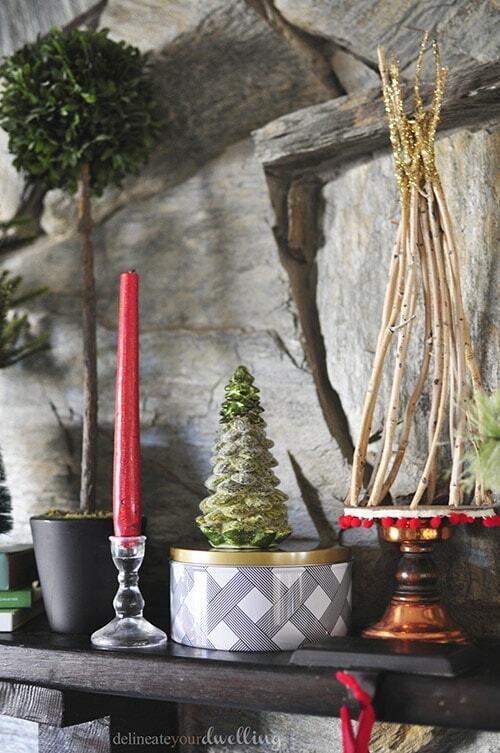 I love that IKEA tree knock-off – I’ve been eyeing that fabric myself too! Thanks so much, Chaney! It was a fun knock off project. Looks so good, Amy! Love the idea of switching stockings! So sweet! LOVE it! i was so excited to see that tree after the instagram shot i spied!